A window blind that, when drawn up, forms a series of concertina folds. Some types of Roman shades have sealed edges and layers of fiber batting. These types provide the best insulation. 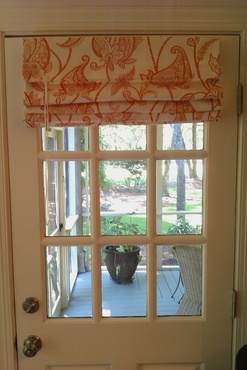 Roman shades run between $50 to $100 for a 27 inch window. In terms of shade type, they generally cost more than honeycomb shades, are roughly the same price as pleated shades, and typically cost less than woven wood shades.